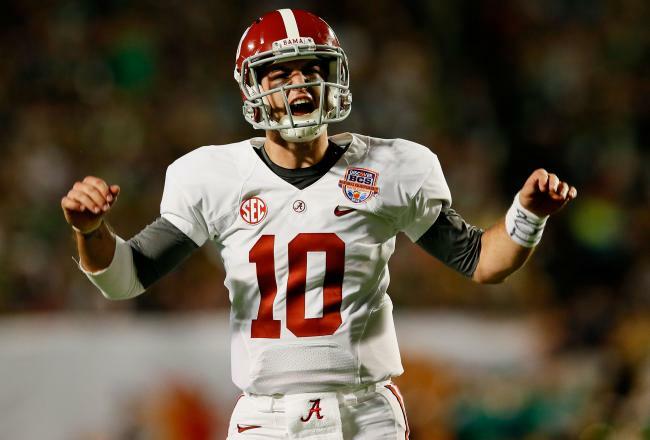 Can AJ McCarron lead the Alabama Crimson Tide to a fourth national championship in the past five years? In the past seven years, the SEC has been synonymous with success in the Bowl Championship Series. The last seven BCS National Champions (Alabama x3, Florida x2, LSU, Auburn) have come from the SEC, meaning that the SEC Champion will likely make the BCS National Championship Game this year. This year, five SEC teams are ranked in the preseason top 10 in the AP Poll (#1 Alabama, #5 Georgia, #6 South Carolina, #7 Texas A&M, and #10 Florida), and the SEC is once again loaded with top talent. Each division of the SEC has three top 15-teams this season that could contend for a conference title. In the SEC West, Texas A&M and LSU will look to knock off two time defending BCS Champion Alabama. The SEC East features three top-10 teams in Florida, South Carolina, and Georgia, each with a great shot to win their division. #12 LSU: The Tigers get a big game right off the bat as they face #20 TCU at Dallas’ AT&T Stadium in primetime on Saturday night. Good news? Last time LSU played in Dallas, they went 13-0 and reached the BCS National Championship Game. Bad News? The Tigers still have tough games at Georgia and Alabama and at home against Florida and A&M. First year offensive coordinator Cam Cameron will help, but the Tigers need a bit of luck to make it to Atlanta. #10 Florida: Florida returns veteran QB Jeff Driskel to a team that won 11 games last season and was ranked #9 in the final AP Poll. The Gators are good, and their schedule is pretty favorable. Florida has a chance to knock off South Carolina in Columbia, but the annual matchup with Georgia (The World’s Largest Cocktail Party) might hurt the Gators’ title hopes. #7 Texas A&M: Johnny Manziel probably broke NCAA rules and is only being suspended for the first half of the Aggies’ first game against Rice. Controversial? Yes, but I must remain objective. But their schedule is a JOKE. They play Alabama at Kyle Field and only real road challenge is at LSU in November. The winner of the A&M-Alabama Game will probably win the division, but something tells me Nick Saban won’t let the Aggies win. #6 South Carolina: Jadeveon Clowney. Need I say more? Simply enough though, South Carolina needs to beat Georgia on the road in week 2 to prove they belong in the creme de la creme of the SEC. They also have interesting home games against North Carolina (tonight, 6:00, ESPN) and Clemson in their final game. #5 Georgia: Aaron Murray led the Bulldogs to the 3 yard line in last year’s SEC Championship Game against Alabama. Had Georgia advanced the ball a mere nine feet more, we might be talking about how great Georgia is and not an Alabama dynasty. Aaron Murray is the real deal, and will contend for a Heisman Trophy in 2013. They might lose their opener at Clemson, but they should beat South Carolina at home and reach the SEC Championship Game. #1 Alabama: Nobody can argue with three national championships in the past four years. Alabama is the best college football dynasty of the past ten years, and they will prove why this season. Nick Saban is a great leader, and much like the Tide got revenge on LSU in 2011 for beating them at home earlier in the season, the Tide will beat A&M in 2013. Alabama will roll (tide) into the SEC Championship Game. In the West, it’s going to be Alabama. In the East, though, the race is much more wide open. The Gators, Gamecocks, and Bulldogs all have a legitimate threat to win the SEC East division title. Of the three schools, Georgia has the most favorable schedule (they don’t play Florida or South Carolina at their respective stadiums), and the Bulldogs and QB Aaron Murray should set up a rematch of the 2012 SEC Championship. Except this year, I predict Georgia to upset the Crimson Tide and reach the BCS National Championship Game. 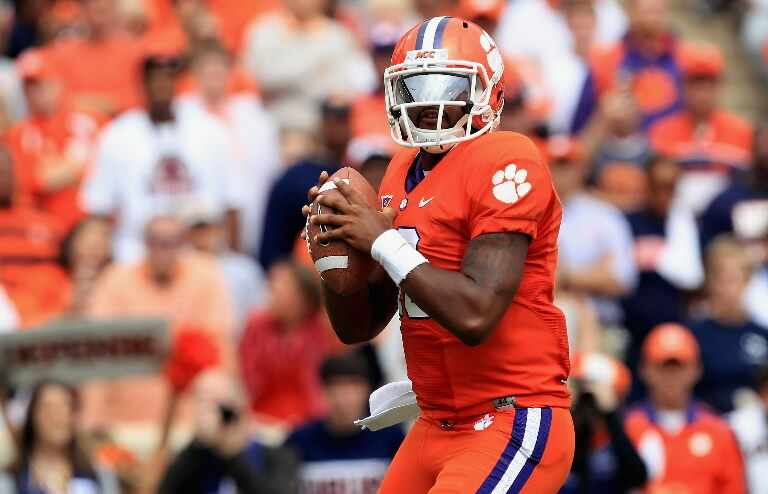 All eyes are on Tajh Boyd to lead the Clemson Tigers in 2013. Okay, it’s been a basketball conference for decades now, but this year the ACC has some interesting storylines. First, Pittsburgh and Syracuse join the ACC this year to expand the league to 12 teams, and Louisville will replace Maryland next season. Each division has its own unique path to the ACC Championship Game in December. The Atlantic Division should be decided October 19, when preseason #11 and defending ACC Champion Florida State visits preseason #8 Clemson at Memorial Stadium. The winner of that game has won the Atlantic Division the last five seasons, so that game will have monumental consequences. Conversely, the ACC Coastal Division is wide open. Last year, North Carolina, Miami, and Georgia Tech tied for the division crown at 5-3, with North Carolina unofficially winning the division. But the Tar Heels and Hurricanes were ineligible for postseason competition, so the Yellow Jackets advanced. Each team features a unique offensive style. Georgia Tech will continue their triple option, run-laden offense that obliterated the Tar Heels last season (68-50), North Carolina returns its senior QB Bryn Renner to run a fast-paced spread, and Miami QB Stephen Morris and RB Duke Johnson will lead a pro-style offense. Also look for Virginia Tech QB Logan Thomas to impress in his final year in Blacksburg. Needless to say, it’s wide open in the Coastal Division. Tajh Boyd threw for 3,900 yards and 36 touchdowns last season for the Clemson Tigers. He was named first team All-ACC and All-American for his efforts, and his stats in 2013 should only improve. Now a senior, Boyd is the unquestioned leader of the Tigers, a team that has top 10 talent, as evidenced by their #8 preseason ranking. He also improved his rushing total from 218 yards his sophomore year to 514 last season. In Dabo Swinney’s high-powered spread offense, Boyd is dangerous. And Clemson should have no problem giving Boyd the ball for more production. Only an intimidating Thanksgiving weekend matchup at South Carolina could hurt Boyd’s chances of winning the Heisman Trophy (See: Jadeveon Clowney). As much as I would like to pick North Carolina to win the ACC, I don’t see it happening. The Coastal Division is tough to predict, but I think Miami will prevail. They play nine of their twelve games in the state of Florida, and will not leave the Sunshine State until their October 17 matchup at North Carolina. Stephen Morris and Duke Johnson pack a powerful 1-2 punch for the Hurricanes, and now that they are free of NCAA sanctions, look for Miami to return to power. Like I said previously, the winner of the Atlantic Division will be the winner of the Clemson-Florida State game on October 19. The road team is that matchup is 1-10 in the last 11 years. Sorry Florida State, but it’s not your year in 2013. Look for Clemson to win the Atlantic Division and defeat Miami in a tough matchup in the ACC Championship Game in Charlotte. 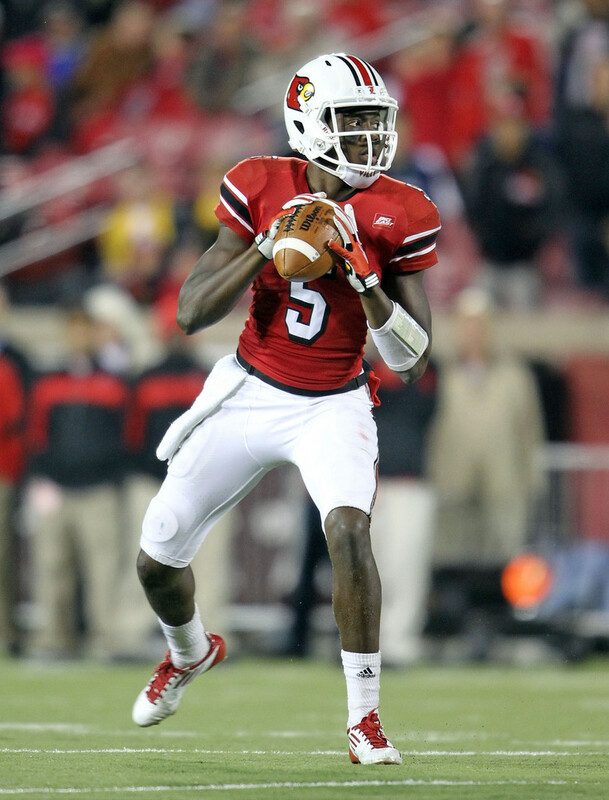 Can anyone stop Louisville and Heisman candidate Teddy Bridgewater this season? 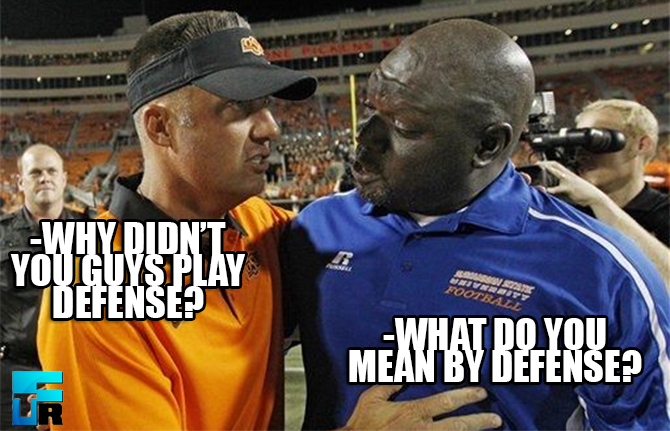 The newest conference in NCAA football is the AAC, or the American Athletic Conference. It’s a league in flux; Temple, Central Florida, Southern Methodist, Houston and Memphis joined this year, while recent powers Louisville (ACC) and Rutgers (Big Ten) are leaving next year. Last year, four teams (Louisville, Rutgers, Cincinnati, and Syracuse) tied for the Big East title at 5-2, with Louisville representing the league in the BCS, where they upset #4 Florida in the Sugar Bowl. This year, three teams shape up to contend for the AAC title. The first, Cincinnati, is in a transition year. Head coach Butch Jones left for the University of Tennessee, and former Auburn and Texas Tech coach Tommy Tuberville will lead the Bearcats this season. Rutgers enters its second season under head coach Kyle Flood, but the Scarlet Knights will also have new offensive and defensive coordinators this season. Finally, Louisville returns both head coach Charlie Strong and Big East Offensive POY Teddy Bridgewater to a team that won 11 games last season. The pride and joy of the AAC this season will be Louisville QB Teddy Bridgewater. After winning Freshman of the Year honors in 2011, Bridgewater threw for 1,600 more yards and 13 more touchdowns in his sophomore campaign last year. His signature performance was the 2013 Sugar Bowl, where Bridgewater threw for 266 yards and 2 touchdowns against Florida’s #1 ranked pass defense. Bridgewater is a poised, experienced player who can lead the Cardinals to great heights in 2013, and is a serious contender to win the Heisman Trophy. Louisville is the only ranked team (#9) in the AAC this preseason, and for good reason. Bridgewater is the real deal, and I strongly believe in Louisville’s ability to not only win the AAC, but to possibly go undefeated (WHAT?!?!?). Their nonconference schedule is a joke, with their toughest test coming in Week 1 at home against the Ohio Bobcats. They also play Eastern Kentucky, Kentucky, and FIU. Oooooo, scary. Their biggest game is a Thursday night ESPN game against Rutgers at home, and I believe that only Cincinnati on December 5 poses a legitimate threat to upset Louisville. It won’t be an easy road to the BCS National Championship Game, but Louisville has the talent (and the QB) to make headlines come January. 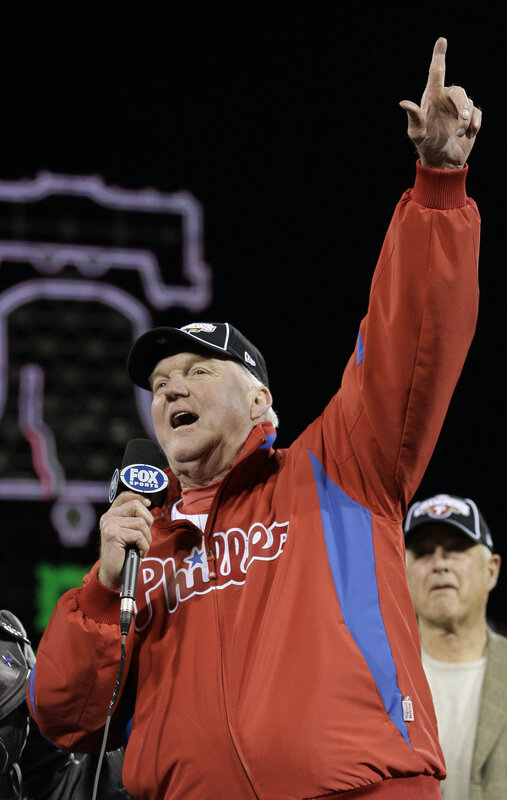 Charlie Manuel celebrates the Phillies’ victory in the 2008 World Series. The Phillies have announced Manuel’s firing today, in a press conference at Citizens Bank Park. “I’ve enjoyed every bit of it,” Manuel said, referring to his nine-year tenure in Philadelphia. He is the winningest manager in Phillies history, with a 780-636 record (.535 win percentage). Manuel led the Phillies to five straight NL East division championships from 2007-11, won the 2008 and 2009 NL Penants, and the 2008 World Series, the Phillies’ first title since 1980. The Phillies will replace Manuel with third base coach Ryne Sandberg. Sandberg, who was drafted by Philadelphia in the 1978 Amateur Draft, is a 2005 inductee into the Baseball Hall of Fame. He has some managerial experience at the minor league level; he won the 2010 Pacific Coast League Manager of the Year with the Triple-A Iowa Cubs and the 2011 Minor League Manager of the Year with the Triple-A Lehigh Valley Iron Pigs. “I think he’ll be a real good manager,” Charlie Manuel said. October 31, 2008 was perhaps the greatest day in Philadelphia sports history in the past 30 years. Two days after the Phillies won the 2008 World Series, more than 2 million people crowded the streets of downtown Philadelphia and packed Citizens Bank Park to watch the Phillies championship parade, the city’s first in 25 years. The day marked the pinnacle of a tremendous season filled with great performances from Phillies mainstays Jimmy Rollins, Ryan Howard, Chase Utley, and Cole Hamels. But that day also marked the beginning of a decline for the Phillies that has lasted nearly five years. Sure, the Phillies won the 2009 National League Pennant and three more division titles in 2009, ’10, and ’11, but for all the high expectations and hopes of the Phillies faithful, they never won another championship. But perhaps the true turning point was the resignation of Phillies’ general manager Pat Gillick. His successor, Ruben Amaro, Jr., has invested a great amount of money into high-level talent, but the Phillies have not won a title. Ruben Amaro, Jr. has agreed to extremely lucrative contracts with many Phillies players, including Roy Halladay (3 years, $60 million), Ryan Howard (5 years, $150 million), Chase Utley (2 years, $27 million), and Cliff Lee (5 years, $120 million). Amaro has locked up millions of dollars for these superstars, none of which are younger than 33. With few exceptions (namely Domonic Brown), Amaro has done little to promote the development of young prospects in the Phillies’ organization. For a general manager who is “looking at a bright future,” signing old, injury-prone players to max contracts is a hypocritical act. Charlie Manuel wasn’t exactly the most eloquent speaker in his press conferences and wouldn’t exactly be named the most charismatic or motivational manager in baseball history, but his offensive style of coaching produced the most successful teams in Phillies history. In his nine years in Philadelphia, he produced 4 teams that won 90 or more games, and only this year did Manuel’s Phillies have a losing record. For 9 years, Charlie Manuel was the boss of the most successful Philadelphia sports team, and most Phillies fans are sad to see him go. But many Phillies fans might believe that the wrong man lost his job. One of the greatest sluggers in Major League Baseball history might have hit his last home run. Alex Rodriguez, third baseman for the New York Yankees, was suspended today for his role in the Biogenesis drug scandal. His suspension lasts until the end of the 2014 MLB season, for a total of 214 games. Rodriguez, 38, has not appeared in a game since last October, when the Yankees lost to the Detroit Tigers in the ALCS. A-Rod underwent surgery this past January to repair a torn labrum in his hip and a strained quadriceps muscle. He completed a two game rehab assignment with the Double-A Trenton Thunder this weekend, going 1-2 with 4 walks and a long home run to left field. Rodriguez completed a long workout with the Thunder Sunday, but did not play in the team’s evening game. 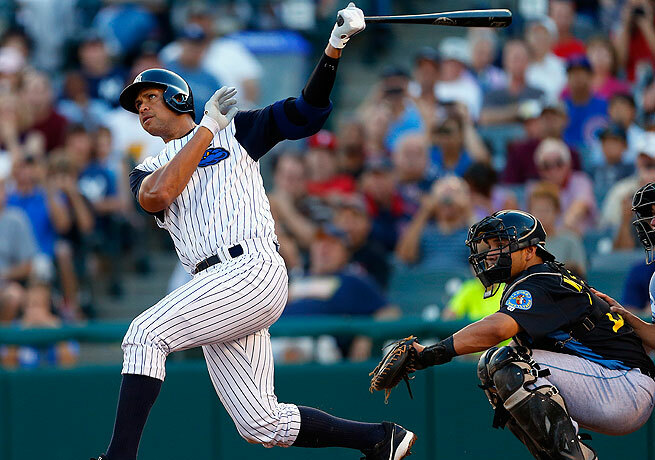 On Saturday night, Rodriguez addressed the media, and stated that he was “going to fly to Chicago” after his workout Sunday to meet his Yankees teammates for their Monday night game against the White Sox. The Yankees could use Rodriguez’ help in the lineup; despite being 4 games over .500, the Yankees have the fourth lowest team batting average and have scored the sixth fewest runs in the majors. Rodriguez will appeal the suspension and play tonight against the White Sox. A-Rod has had an incredibly successful career in baseball. The 1st overall draft pick in 1993 by the Seattle Mariners, Rodriguez has played 19 MLB seasons for the Mariners, Rangers, and Yankees. His 647 career home runs are the fifth most of all-time, and he ranks 7th with 1,950 RBI. He won the American League MVP Award three times (2003, 2005, 2007), has made 14 All-Star appearances, and won 10 Silver Slugger awards. He is a career .300 hitter, but hasn’t reached the .300 mark in a season since 2008. But for all his career triumphs, Rodriguez has endured his fair share of controversy. In 2009, Sports Illustrated reported that A-Rod tested positive for anabolic steroids from 2001-2003, while a member of the Texas Rangers. This suspension involves Rodriguez’ relationship with Biogenesis of America, a Florida-based anti-aging clinic. Rodriguez reportedly received human growth hormone (HGH) treatments from the clinic, which is illegal under MLB rules. A first-time drug suspension in the majors is 50 games, but A-Rod obstructed an investigation into his drug usage. Therefore, Major League Baseball elected to hand down a harsher suspension. Rodriguez is not alone. Twelve other players were suspended for 50 games each today, including Rangers outfielder Nelson Cruz and Tigers shortstop Jhonny Peralta. Milwaukee Brewers outfielder Ryan Braun was suspended for 65 games earlier this season for his relationship with Biogenesis of America, prompting debates as to whether the 2011 NL MVP should be allowed to keep his award. In an age of baseball known affectionately as the “Steroid Era”, the Rodriguez suspension is the harshest penalty handed down by Major League Baseball. Instead of continuing his storied career as one of baseball’s best, Rodriguez joins names like Rafael Palmeiro and Manny Ramirez on the list of suspended sluggers. This sad story of greed and cheating is not uncommon in this day and age, and goes to prove that the “Steroid Era” is still alive in Major League Baseball.